You can only live life to the fullest when you let go. In Courtney Walsh‘s upcoming novel “Just Let Go”, her main characters Quinn Collins and Grady Benson are as different as night and day. They only share one common thread… they allow one dark memory in their pasts to haunt them forever. They can never forgive themselves for what happened. Florist Quinn finally took her career to the next level by purchasing her mom’s old flower shop, while Grady Benson’s Olympic dreams seem to be out of reach when he gets arrested and forced to do community service. These two people accidentally meet when Grady’s community service is assigned in her small town, and he’s tasked with helping her design the annual Winter Carnival. They slowly (and reluctantly) fall in love in the most unlikely circumstances. Unfortunately, their love story is far from perfect. While they begin to learn more about each other, Quinn and Grady are faced with moving on from the emotional pain of an estranged mom and an accident that left a teen boy handicap for life. They blame each other for the traumatic incidents, and it threatens to hinder the bright future ahead if they can’t let it go. “Let It Go” is a thought-provoking read that makes you re-examine your own life. It encourages readers to forgive themselves and others for past mistakes, so that we can all enjoy life to the fullest. Apparently, a great life starts with us being honest with ourselves, before we can open up to anyone else. 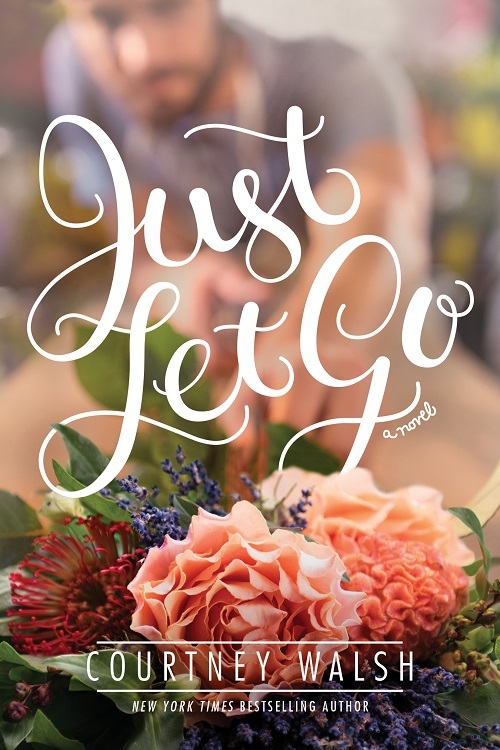 Courtney Walsh’s “Just Let Go” releases June 2018. This entry was posted in Books, Entertainment, Reviews and tagged Courtney Walsh, Just Let Go. Bookmark the permalink.